This UPS Battery Tester named 12V Large Capacity Battery Tester widely used in communications (such as telecommunications, China Unicom, mobile, CNC, CTT, etc. ), power, finance, national defense, transportation and other sectors and sectors of the backup power system, as a 12V Battery Capacity Discharger. The utility model can accurately detect the actual capacity and discharge characteristics of each single cell, so as to conveniently re-configure the batteries. In the Battery Repair System and battery maintenance process, the battery discharge capacity value is the most important criterion to judge whether the batteries have been repaired or not. By discharging the batteries before repairing and discharging the batteries after repairing, the rate of capacity increase is calculated. This battery discharge tester device is developed aim at this main applications. It is a very important member in our 12V Battery Restore System. 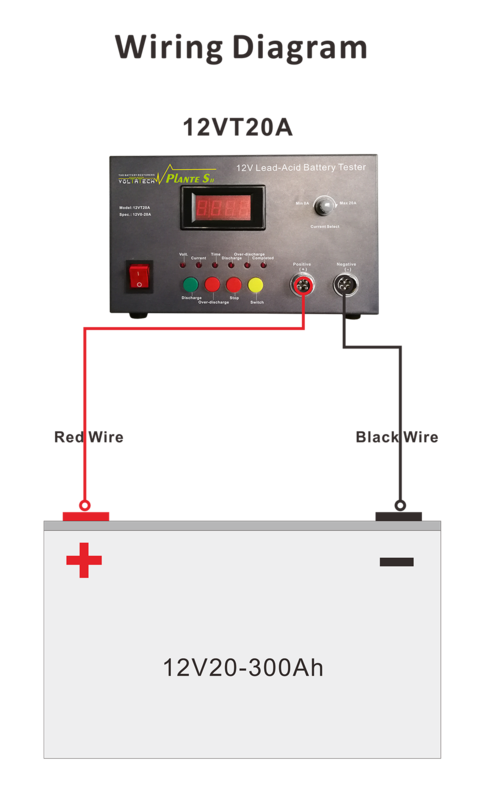 It is suitable for detecting discharge capacity of lead-acid batteries with cell 12V/36Ah to 12V/300Ah. Looking for ideal 12V Digital Battery Tester Manufacturer & supplier ? We have a wide selection at great prices to help you get creative. All the 12V Battery Capacity Discharger are quality guaranteed. We are China Origin Factory of UPS Battery Tester. If you have any question, please feel free to contact us.